When presenter Joe Walsh announced Jason Aldean (and his red jacket) as the ACM Entertainer of the Year on Sunday night (April 2), Jason became one of 10 artists in the 52-year history of the show to win the award in back-to-back years. 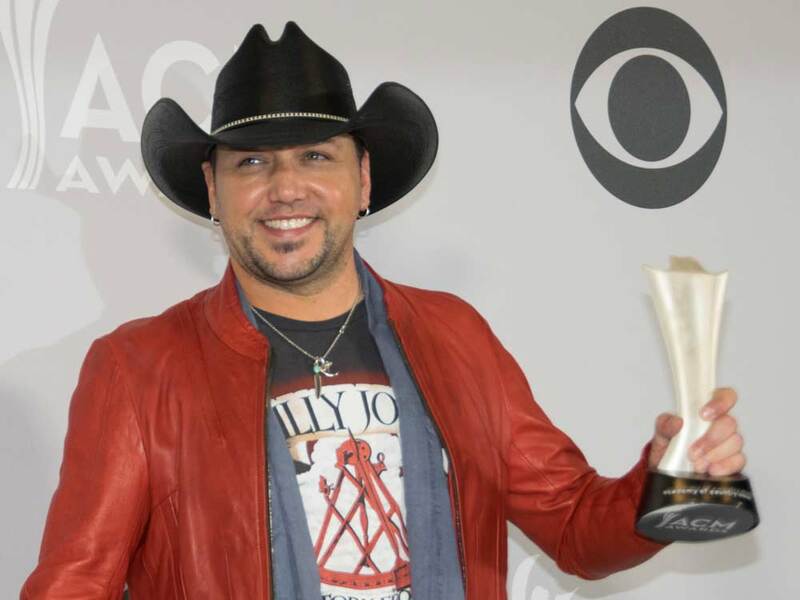 Jason joins the exclusive company of past back-to-back winners Roy Clark (1972–73), Alabama (1981–85), Hank Williams Jr. (1986–88), Garth Brooks (1990–93, 1997–98), Brooks & Dunn (1995–96), Toby Keith (2002–03), Kenny Chesney (2004–07), Carrie Underwood (2008–09) and Taylor Swift (2010–11). While Jason still has plenty of work to do to top Alabama’s five-year stretch of consecutively winning the award from 1981–1985, two wins in a row is a nice feather in his cap—or cowboy hat, for that matter.